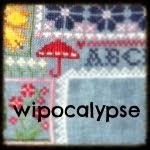 I made some decent progress this month with my WIPocalypse projects. 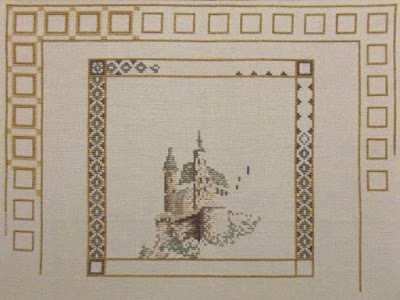 I stitched on my "Castle Sampler" by Teresa Wentzler. 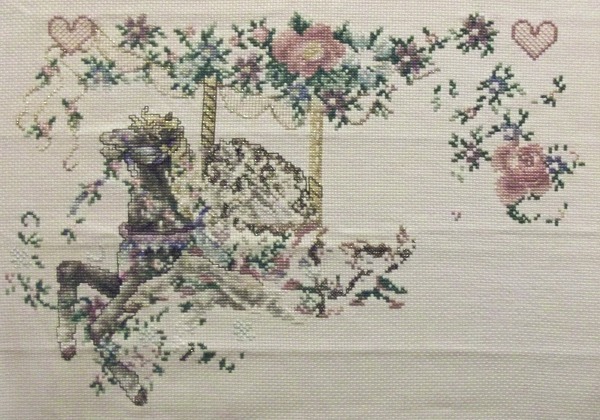 I focused on the framework and border areas, putting in several hours of stitching. 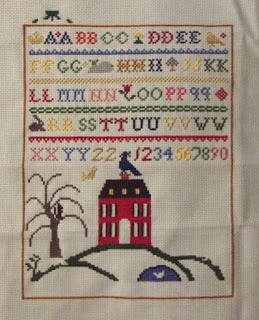 I completed the alphabet and worked a bit around the yard on "American Sampler" by Sandra Sullivan. 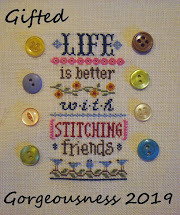 I am mainly using bits of floss leftover from other projects to stitch this one. I may also play around with "aging" this sampler once I am finished stitching it. 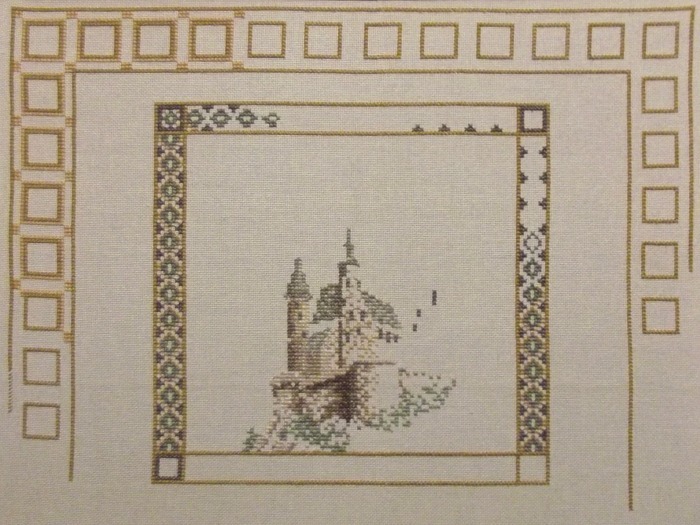 I found the chart in the book "The DMC Book of Cross Stitch and Counted Thread Work" by Eleanor Van Zandt (published 1994). There are several types of projects in the book, including some Hardanger (which I have yet to try) and blackwork. I also put some stitches into my "Gypsy Wagon", which is rolling along. 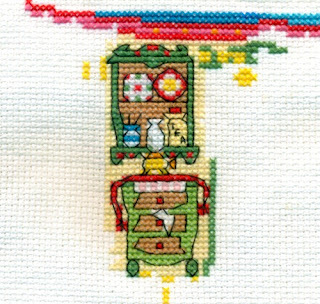 I am back-stitching as I go ... but I may save the French knots until the end. This is a fun project on which to stitch! 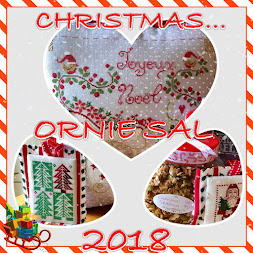 And last, but not least ... I put a few hours of stitching into "Ride to Dreamland". This is one of my very old WIPs - but I do make sure to add a few stitches now and then. 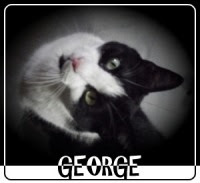 That's all for my update this time. I can't wait to see what everyone else has worked on this month. Great update,the gypsy caravan is very colourful. More great progress, I love seeing the castle come together. Nice work on your WIPs. I love the Teresa Wenztler design. The sampler is lovely but the colours are very 1990s, aging would make it look more timeless, in my opinion.